Camelback Crickets can become a pest in and around the home. Most pests want to live where people live, but these crickets are different. They love dark, damp, cave-like settings where they can nest. These environments need to provide both water and food. 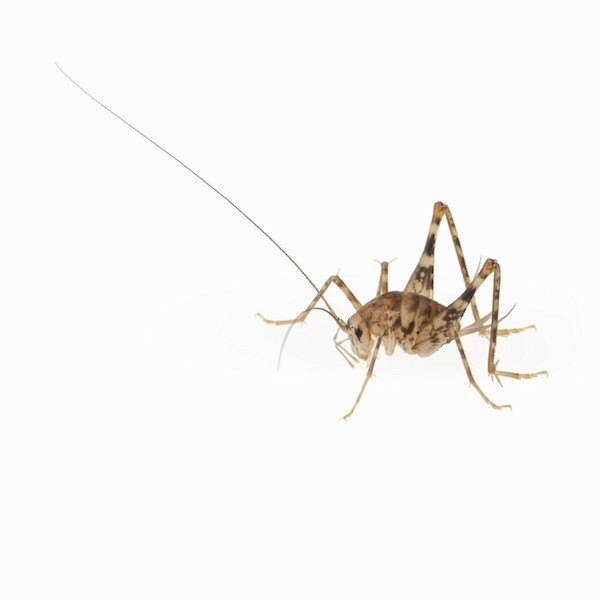 Camelback crickets can live in a home for long periods of time without residents knowing. As their population increases, some will get into living areas. This will prompt the homeowner to treat. Before we discuss methods of camelback cricket control, its important to understand some basic biology of this pest. Camelback crickets appear throughout most of the United States. They will move into areas around the home taking up residence under porches and sheds. They love moisture and darkness. Such areas produce fungus and mold – both of which can feed this species of cricket. In addition to mold and fungus, camelback crickets will feed on fabric. This becomes a problem in the home since migrating crickets can cause substantial damage if left unchecked. Once crickets are established around the home, they’ll readily move inside for shelter from the hot summer heat. Crawl spaces and basements provide excellent nest sights. If you’re finding some in your basement, treat sooner rather than later. Its far easier to get control of this cricket before its established. If you have a home with a crawl space, its important to check it periodically. Such inspections may reveal pest problems. And if you find crickets during any inspection, try to treat right away. Since camelback crickets reproduce quickly, its wise to get rid of them before populations swell. Once their population gets large, they’ll migrate up and out of crawl spaces and into living areas of the home. This is disconcerting to residents since this cricket is very different compared to its cousin the common field cricket. Camelback crickets have long antennae, huge hind legs and a strong looking body. Since camelback crickets grow large, many people are surprised at how big they can get. Another unique feature of this cricket is that they jump randomly and are more likely to jump at you than away from you. Its believed this is due to how they see. Their vision is such that it appears to them they are moving away from a potential predator but in fact they are moving towards it. Some behavior will in fact spook some predators leading scientists to conclude its evolved this way for defensive purposes. Another problem with letting camelback cricket populations going unchecked is the potential for fabric damage. They love to eat both synthetic and man made material including rugs, furniture, books, canvas, clothing, boxes, linen, drapery, and just about anything we have in our living area. This can lead to damage which looks like some type of moth. Because camelback crickets are rather large and meaty, mice and rats are fond of them. Many times rats and mice will take advantage of populations which are active in the home. This could lead to rat and mouse infestations and in turn, require more even pest control! Because of problems associated with letting cave crickets live in the home, its wise to take action and stop local infestations. If you think you have this cricket getting into living areas because you’ve seen droppings or damaged fabric, set out some GLUE TRAP MONITORS. They will readily attract crickets because they provide the type of shelter camelback crickets like. If you catch one every few months, there isn’t much of a problem. However, if you are catching one or more a week, it is time to start doing some cricket control. Traps should be spaced 10-15 feet apart and will generally remain functional for 3 months. Camelback cricket control is usually easy to achieve. The key is attacking them where they want to live. Since they start from the outside, its recommended you control outside populations. The best way to do this is with concentrate we carry called FENVASTAR. this low odor material mixes with water and treatments will last 30 days. Simply spray foundation walls, around windows and doorways, under decks or sheds and in mulch or other dark, moist areas. Be sure to create at least a 5 foot band barrier both up and out from the home. So at least 5 feet up (higher if you have elevated decks since they love living under the decking) and at least 5 feet out into turf, pine straw, etc. Any structure close to the home which may be harboring crickets should be treated thoroughly to. By controlling them outside, you’ll be stopping the migration that will naturally happen into the home. 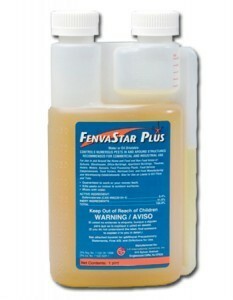 Expect to use at least 1-2 gallons of mixed FENVASTAR every month for active problems. Use a good PUMP SPRAYER to apply the Fenvastar. Our private label is made to our specs and has a long lasting pump mechanism as well as the right tips to make the proper treatment. If you already have them in the home, it will take more than just perimeter treating the outside of the house. An d ignoring them won’t work; allowing them to continually reproduce and nest in certain areas of the home will essentially mean there will be a constant supply of new ones. And though they may appear to be “seasonal”, they tend to be most visual in the fall and winter even though they’re around or in the home all year long. Now the GLUE TRAPS listed above will help by catching some. And if you’re seeing them daily, you may find the BUG VACUUM/ZAPPER can help remove some. But ultimately treating some in living areas as well as nest sites will prove the most helpful at getting rid of them for good. For mild or light infestations where you have access to crawl spaces or basements with activity, you can try using NIBAN FG bait. This light granule is easy to apply and can be used safely in living areas as well as crawl spaces or basements. Crickets will readily feed on it and die. Apply it by lightly sprinkling some out behind furniture, along baseboards and basically where crickets are seen active. It comes packed in a bag that can be used to sprinkle out; apply 3 oz per 100 sq/ft. For wall voids, a BAIT APPLICATOR will help. Since camelback crickets will readily nest in basement walls (they love the space behind sheetrock or paneling installed over the cement), this device will help deliver the Niban where it will be needed. It will also help for treating any crack or crevice, light fixture, behind switch plate covers or electric outlet covers and other hard to reach areas. For crawl spaces, the DUSTIN MIZER can help get effective coverage. 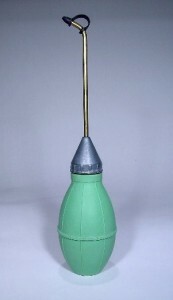 It will disperse the Niban up to 20 feet out. Its manually operated by turning a “crank” mechanism and can help get these hard to maneuver areas baited properly instead of ignored. Treatments with Niban will last 1-3 months depending on the level of infestation. Severe populations will require more frequent treatments until the feeding crickets die off. Finished basements can be the whole problem area with camelback crickets. Its not uncommon for them to nest behind the wall and from there, forage into the finished area. If that’s happening in your home, the Glue Traps and Fenvastar will help. But you will need to treat that wall space. Use the Bait Applicator to apply the Niban behind wall voids, inside electric outlets and up into drop ceilings if you have these installed. These are all classic problem areas for finished basements. By direct baiting, you will be delivering food to where the crickets are living and reproducing. Baiting these spaces will pay faster dividends by getting the bait to affect more cricket since most will not forage out into living spaces. When combined with outside treatments of Fenvastar, you’ll be able to control existing populations as well as keep new ones from coming back. For severe infestations or if you want quicker results, a more aggressive approach is suggested which will be to dust the wall void. Although baiting for crickets will work when populations are small and easy to locate, treating with dusts and sprays will yield faster, more thorough results. For homeowners with infested crawl spaces and/or basements, this is no doubt the best treatment method. This is particularly true when infestations have found their way behind finished walls of basements. Although baiting will provide relief, it will many times this is not be enough to knock them all out. So if you want complete and fast control, dust these spaces with DELTAMETHRIN DUST. iIt will work within 1-2 days, kill all stages developing behind the walls and in crawl spaces out of sight and overall, won’t miss any. Bait will only work on those which eat it. And if there is a good supply of food hidden away for these guys to live on, Niban alone may not be enough. But Deltamethrin Dust won’t miss. Use 1 lb of dust for every 500 sq/ft of area. Just remember, you don’t want to apply Deltamethrin Dust where you apply Niban. Now you can dust crawl spaces and wall voids but for the living area, use nothing but Niban and Glue Boards. This would be a smart approach. But don’t bait the crawl space and then dust it; the dust will render the bait unattractive to the crickets. For dusting wall voids, light fixtures, under switch plate covers, etc., use the CRUSADER HAND DUSTER. The other benefit of the dust is that one treatment will last 6-12 months providing the longest control. This is important if you have a lot of reproduction going on in the walls and if you prefer having to treat less frequently. If you have a crawl space in addition to the basement, make sure to treat it as well. Use the DUSTIN MIZER for those hard to access spaces; it can be used to disperse the dust as well as the Niban Bait. Camelback crickets are a common problem around the home and yard. If left to live under decks or on the dark side of you home, some will get inside. Once inside, they’ll target crawl spaces or basements. Avoid inside problems by treating the outside with Fenvastar once a quarter. Once you have a problem, spray monthly until they’re gone. Now ifI they’re already inside, bait with Niban for small infestations and set up some traps. Heavily infested areas should be aggressively treated with Deltamethrin Dust for the quickest results and long lasting protection from future problems. If you see them frequently in living spaces (daily) does that mean they are from a larger population? And are they safe? As our article above explains, if you’re seeing any in your living space, it means you have some foraging in from the outside of your home or you have some living inside the structure like in a crawl space, basement or wall void. And the rule to follow here is if they’re coming in from outside, you’ll expect to be seeing 1-2 every month or two. But if you’re seeing them daily? That means you definitely have a problem inside the home. And I would venture to say it’s significant based on my previous experience. As for your next question; “are they safe”? Not sure what you mean here but remember where they live. The spaces they come from are typically dark, damp, full of bad things like bacteria and other contaminates, etc and from there, when they migrate into living spaces they carry all that stuff with them. So once they start walking around inside the home, they’re making a mess and bringing with them potentially some bad stuff like mold spores and other things that are now getting into your living space. So overall, I would say they’re not “safe” to have living inside the home and should be controlled. But they’re not dangerous as in stinging or biting if that’s what you mean. So at this point, I suggest you set out some Cricket Traps and try to locate just where the most activity is happening. The traps will help collect some and no doubt help to control the invasion. But it won’t solve the problem. Ultimately you should apply some Delta Dust to their nest site and my guess is that will have to be in some space like a crawl space or hidden void in the home where they might be living. I LIVE ON THE 2ND FLOOR OF A 2 FAMILY HOUSE.. NOT ONLY HAVE I SEEN THEM IN THE BASEMENT.. I AM NOW SEEING THEM IN MY APARTMENT.. I THINK – “THINK” – THEY ARE COMING THROUGH HEATING VENTS… BECAUSE ITS LIKE THEY JUST APPEAR…AND I HAVE SEEN 2 IN A DAY… THIS SOUNDS BAD ALREADY AFTER READING EVERYTHING ELSE. AND I DIDNT SEE THEM IN THE WINTER.. BUT THIS IS THE 4TH SUMMER THAT THEY HAVE APPEARED…. It’s not likely they’re entering through the heating ducts. That’s because these are sealed systems and tend to be very dry with air moving through them which is not where crickets can survive. And since most any home has so many alternate routes of entry which is also where these crickets like to live, it only makes sense that one of these more common nest sites is the main route of entry. Now you mention that you have a basement and that they are being seen there. That tells me you might have a finished basement and if that’s true, treating behind the finished walls with Deltamethrin Dust is strongly suggested. And if you have a crawl space here too, get it treated as well. Now in the living spaces, there are two things you can do. The first is to set out some Cricket Traps where you either see them or suspect they might be active. These will help collect any that forage into your rooms and help to alert you to problem areas. Another option is to treat all routes of entry with Drione Dust. 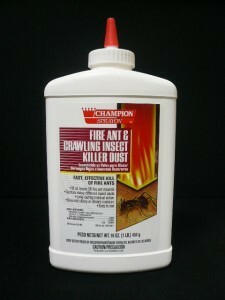 This product is highly repellent to any insect and these crickets will avoid all areas where it’s applied. If you lightly dust electric outlets, switch plate covers, where pipes enter the room and where light fixtures poke through the wall or ceiling, you should be able to eliminate all these routes of entry. Drione lasts a year or longer and is an excellent tool for repelling invasive pests like camel back crickets. I have these disturbing creatures. Is it possible they’re coming in through the sink or bathtub drains? As explained above in our article, camelback crickets love dark dirty areas and sewer lines are in fact one of their favorite nest sites. Homes that use septic tanks for sewer responsibility are more prone to having these crickets infiltrate through drain lines but most any home can have the issue. Additionally, drain lines will many times crack and leak. This leakage will rarely ever be noticed or repaired but the raw sewage that will be seeping into the ground can attract all kinds of critters including camelback crickets. And once they find the cracked drain line, they can easily enter and forage their way into the home. Since drain lines will harbor and hoard organic matter camelback crickets like to eat, it’s important to remove as much of this matter as possible. Survivors drain treatment is an easy way to clean to accomplish this goal. It contains bacteria which will “feed” upon the muck and matter basically eating away at it till the pipes get clean. This in turn will help deter the crickets from wanting to stick around. You can also spray some Gentrol aerosol down the drain. Gentrol is labeled for use down drains and by treating your pipes this way, you can indirectly help to minimize the crickets. Now it’s important to understand the active in Gentrol won’t control the crickets directly but because the Gentrol will stop many other drain dwelling pests, you will effectively be taking away the crickets food which in turn will force them to go elsewhere. Remember, crickets are predatory and can live on all kinds of small insects. Drain lines typically house all kinds of roaches and crickets love to eat roaches so by using the Gentrol, you can eliminate the crickets food supply. We just moved (Aug. 1) and I have already encountered one of these cave crickets as well as numerous ants, spiders, centipedes, etc. The top floor has the kitchen, bathroom, living room and 2 bedrooms. Where my in-laws on the bottom is the garage/laundry room and a 2 bedroom finished basement where my husband and I have a room and our daughters have the other room. I have only seen one and it was in our daughters room, not in the garage/basement/laundry area where from your article, I would have expected more to see one there, but my daughter freaked out when she saw it so I am looking to nip this problem in the bud before it becomes a bigger hassle. We do not want frequent visitors.. I would like your suggestion on the best solution to take care of this as far as the dust/sprays go.. we would like to do a treatment on the outside perimeter of the house and would like to know the best dust/spray that is the most effective, long lasting and harmless as like I said we have kids and a dog that are always on the property which surrounds the whole house so would pretty much be the “perimeter”. We also want to do a treatment on the inside of the finished basements and all the cracks, drop ceiling, moldings, electrical outlets, etc. like you mentioned and would also like the most effective, long lasting dust for this being that it is ours and our kids bedrooms, we definitely want something safe/harmless so that if the kids do happen to come in contact with it, they won’t get sick.. Lastly, does any of the dust/sprays help with other pests such as spiders, ants, centipedes? Thanks so much for any information you can provide. First, when applied properly, all the products mentioned in our article above won’t pose a hazard to anyone in the family or any pets. Second, since the basement is finished, it would be wise to treat the void behind the finished walls with a dust to get the best results. So the plan for these crickets will be to first keep them from getting inside. To do this you’ll need to get the Conquer for the outside spray and apply monthly during the warm season. Be sure to use 2-3 gallons applied around the home treating the foundation, around windows, doors, and basically any route of entry to the home. The soil should also be sprayed; about 2-3 feet out from the foundation wall. This barrier will keep out camelback crickets as well as spiders, ants and pretty much any type of perimeter invader. Next, get the Deltamethrin Dust and apply some behind every finished wall in the basement. Use a Hand Duster to apply it. Remember to attempt to get some dust between every set of studs that may be present so get a good idea of how the basement walls are constructed and treat after you understand their design. I’ve seen basements where there are very few studs spaced out every 3-4 feet and then I’ve seen basements where the studs are more evenly spaced the more standard 16-18″ apart. When it comes to basements anything goes so check it out and make sure you get some dust into as many of these spaces as possible. Lastly, set out some Cricket Traps. These won’t solve the problem but they will help catch rogue pests and in doing so help by letting you know where problems still persist and may need more treating. Plus, every pest they catch is one less in the home. Good luck! I live in a duplex/apartment complex that has 8 units, 4 on one side and 4 on the other, separated by a small lawn. I see these nasty little bugs EVERYDAY! I may kill anywhere from 2 to 5 of them a day. And they aren’t just in one spot they are all over the place, sometimes even out in the open just jumping around. If I take care of my apartment how likely is it that they could move from my neighbors place over to mine? What is the best way to treat these pests with my situation? Thank you. The odds of any pest entering an untreated home is many times greater compared to a treated structure. So if you take curative and preventive measures as described above in our article, you’ll be able to virtually eliminate any pest (including camelback crickets) from your living space regardless of what’s going on around you. So that means you should start by spraying as many areas on the outside the duplex as you can. If I was there, I’d treat all the exterior siding and common ground of the units. Since it will only 1-2 gallons of mixed material, the job would be easy, inexpensive and have a huge impact because it would dramatically reduce the local population. True, everyone would benefit from your treatments but in the end, the worse that would happen is that you’ll end up with a few more friends. Use a standard pump sprayer to do the application. Next, I’d dust every wall void, electric outlet, light fixture cover, etc. where they might enter. By treating these voids, you’ll no doubt eliminate them as nest sites. Next, apply a baseboard spray of the Conquer to the inside of your apartment basically spraying the perimeter of every room. Lastly, set out numerous traps to intercept and alert you to any problem areas you might otherwise be missing. Traps can be helpful because they’ll both alert you to what’s active and where it’s most active so corrective measures can be taken. And since they’ll catch many kinds of “pests”, they’re good to have around in any case. Based on your article, I have an infestation… I have a crawl space and they are in my garage. Is there something I can buy from a store or do I need a professional to treat? You’ll need to treat using the products we have listed above if you want to do the job properly. Now you won’t be able to find them locally in any store but since we ship within one business day, you can get them delivered quickly. I rent a small house which unfortunately sits on top of a high water table with streams that run along the street I live on. The basement does have a crawl space and when it rains and the water table rises, the basement begins to flood from the bottom up. Surrounding the house is a lot of brush and there’s even an old pile of large branches very close to the house that the landlord was suppose remove before I moved in. I would find one occasionally but now it’s out of hand with seeing 1 or 2 every day or so. So now after doing some research and reading everything here, I believe it’s an infestation. My problem is going to be the method or methods of getting rid of the problem. I have 3 Parrots and a dog. It’s the parrots that are most sensitive to pesticides and then of course there is my dog too. So this concerns me with the safest and most effective methods. Please assist me in the safe course of actions I should take. Thank you. Based on the information you’ve provided, it would appear these crickets are thriving around the home. They clearly have found safe harborage both inside the crawl space and no doubt in some of the debris and vegetation around it’s exterior. You need to remove as much of the vegetation up close to the home which in turn will help to reduce these numbers. That means trimming back as much of the live stuff as you can and discarding anything dead like the large branches you mention. Once the outside area is cleaned up, the conditions for the crickets to find good shelter and food will have been reduced. However, this alone will not solve the problem. Clearly you’ll need to spray the outside of the structure and the inside of the basement. Now in most cases we recommend dusting basements or crawl spaces whenever possible but this would not be a good choice for your home since the basement floods out. So in your case, just spraying it once a month should do the trick. In fact, the only thing I recommend for your home is to spray the outside foundation, the siding and a 2-3 foot band of ground all the way around the home. Use the Esfenvalerate for this and to spray thoroughly. You’ll need to apply at least 2 gallons of mixed solution for a small house; 3-4 gallons for any large structure (2000 sq/ft or more). Inside the home, you’ll need to spray the basement monthly focusing on any spot the crickets may be entering. My guess is there must be cracks in the foundation, any windows that are present, any basement hatch or maybe where pipes come through the wall. These would be likely entry ways and should be treated for sure. 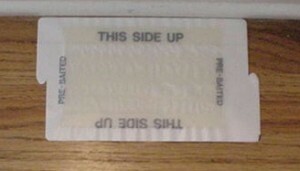 And to accomplish this treatment, you should expect to use at least 1/2 to 1 gallon of mixed solution for the treatment. Lastly, you should set out some Cricket Traps in the living area. 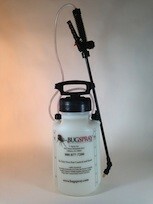 These will no doubt catch roaming crickets which in turn will help monitor and remove them from the living spaces. Now since there is no need to treat living spaces there is no need to worry about your pets. You see, pesticides are no different from anything else in that the only way they can affect people or pets is if we eat, breath or absorb large amounts of the concentrate. So if you limit your applications to the outside and just your basement, there will be no danger of any kind of exposure to your pets. You’ll only need to keep the dogs and bird inside during the outside application and once dry, they can go back outside without any risk. As for the basement, just keep them out of there altogether and they won’t have any chance of getting exposed to the treatment. I have dogs and cats so is Conquer EC safe to use in your yard around the outside of the house where your pets go? Are these crickets active in the winter months? Most every insect and animal life form will “shut down” or “hibernate” during the cold of winter when temps drop below freezing. However, these very same insects and animals can remain active if their main nest site is in or on anything that remains warm. So in the case of Camelback Crickets – which typically live on homes and inside walls spaces and/or crawl spaces – they can remain active all year long once they get inside any structure that’s kept heated when it gets cold. In fact, the most common time to see this pest is in the fall and winter because it’s during these times that they’ll migrate onto homes seeking warmth. And once on the home, it’s only a matter of time before they get inside. Now to find out if you have any in the home, set some traps out and see if you catch some. And if you do, chances are high you have crawl space or wall void that’s got some nesting and these spaces will have to be treated with either the Niban or Deltamethrin Dust listed above. And if it’s still warm by you now, I suggest you also do some outside treatments with the Conquer. This could very well take care of the problem if they’ve not yet moved inside but are rather just beginning to migrate out of the colder nights we’re now seeing. I live in a mobile home park. We have lived here about 5 years. This is the first time I have ran into these ugly things. My cat keeps finding them in the living room, bedroom and bathroom. They really creep me out. Today we found 2; one in the living room and one in the bathroom. Being in the park, the homes are set close together. Why do I have these things this fall? How do I get rid of them? If you review our article above, you’ll learn camelback crickets will flourish in dark, protected areas like crawl spaces and wall voids. Now many mobile homes have “skirting” that surrounds the foundation or concrete pillars on which the home sits and if you have such a skirting in place around your home, my guess is the crickets are thriving in that space. To get rid of this pest, you’ll need to dust the area with the Deltamethrin Dust listed above. You can apply it with either the Dustin Mizer or the Power Duster. The good news is this kind of treatment will last a long time, like 3-6 months, and it will handle most any pest that might want to live in this dark space so it’s well worth the time and cost to apply. Now on the outside of the skirting you should start spraying with the Esfenvalerate on a regular basis. Maybe once a month. This will stop any pests from wanting to enter the space including crickets, ants, roaches, etc. In areas where homes are located close to one another, pests will commonly migrate from one unit to another so it’s extra important to treat the exterior of the home to keep nearby pests from migrating over. Lastly, you can spray with the Conquer inside the home too. This way any that forage up into your home will not live long. I also suggest you set out some cricket traps to help reduce any that make it inside. Help! It has been one year and these things won’t go away regardless of the weather or season. I have had an exterminator come and spray outdoors and inside several times. I have glue traps and they catch some but not all. I have no basement or crawlspace. They are all over downstairs. For example, I’ve seen and killed 10 in 24 hours. They seem to come in waves. Two weeks with none.. Then two months with 20. I don’t know what to do or why they are here. If you read our article above, you’ll learn that these crickets live in spaces and not out in the open. This means surface spraying won’t take care of the problem. Now once they’re inside wall voids, the only way to knock them out is to dust the spaces with the Deltamethrin Dust. In most cases, they’ll target 1-2 sides of the home so if you’ve noticed them active more on one side of the home, start there. And be thorough. That means getting the dust between each stud. To make the application, you’ll need a good hand duster. And you’ll need access holes so the duster tip can direct the dust into the space. That means drilling through the wall. Be sure to space holes between the studs and one low on the wall and one high will usually allow for a good dusting. Once treated, the holes can be sealed and cosmetically covered up since treatments will last 6-12 months. Unfortunately this is the only way you’ll knock them out for good. Now do keep spraying the outside but don’t rely on them alone. Camelback Crickets need spaces like those provided in basements, crawl spaces and wall voids. And since you say you don’t have a basement or crawl space, the wall voids must be where they’re nesting. Get this space properly treated with Deltamethrin Dust and you’ll solve the problem for good. And keep spraying the outside exterior of the home with something like the Conquer as this will keep new ones from coming around the structure. I moved into a ranch town home with one house next to me. I have no basement or crawl space. I have seen these crickets in the kitchen and bedrooms and also the walls or at night crawling around on the kitchen floor. Last night I killed 6 and trapped 4. I have not seen these outside the town home and didn’t see any when I first moved in. What would you say is the best method in killing these and do you think I have an infestation or is this winter hibernation? Help; Momma of 5. If you read our article above, you’ll learn this pest is largely nocturnal. That means seeing them at night is normal. And based on how many you’re seeing, they no doubt must be nesting either under the structure or in wall voids. Do you know if there is a crawl space underneath the home? If so, then I would get that area treated with Deltamethrin Dust for sure because it’s probably at least one of the nest sites. Next, I’d evaluate the areas around the home to see if there is one side which is showing the most activity. If that’s the case, they might be focused on that outside wall or the outside of the building on that side. So if it’s the wall void, dust it with the Delta Dust using a hand duster. As for the outside of the building, this area should be sprayed with the Conquer listed above. Lastly, I’d set out as many cricket traps as I can inside the home. Traps won’t solve the problem but by capturing any that forage into the living space, you should minimize the activity and get a better handle on where the worse part of the problem is located. I live in an end-unit town home and I have a huge camel cricket problem. My husband and I began trying to treat the problem on our own. Our basement does NOT take on water; however, it is very damp – especially in the summer. We bought a dehumidifier and that seemed to help deter the crickets for July and August. However, late in September we started seeing large amounts of crickets in our finished basement living areas. We laid out stick traps and learned that we were catching approximately 50 crickets in 24 hours. We then called an exterminator. The exterminator treated in the walls with the dust and laid the bait granules under all baseboards and outside. In the meantime we also began sealing all areas outside of our home that the crickets could be getting in from. We called the exterminator because after we did some research we feared these crickets were reproducing in the walls. Well after the first treatment I described by the exterminator, it was an all out apocalypse. It turned out we were right about them reproducing in the walls and they were fleeing and trying to get away from all of the treatments from the exterminator. In a 7 day period we had over 1,000 crickets in our basement and obviously they began making their way up the stairs and onto our first floor. The two worst days out of that week we know we caught about 350 each day on sticky traps. After 7 days, it thankfully began to get better. And by 10 days after the exterminators treatment we were back to only about 10 per day caught on sticky traps. The exterminator did a follow up treatment at the 14 day mark and he performed all of the same treatments as the first time. In the meantime the weather has got colder, and the basement is not as damp feeling because of the cold. A few days after the second treatment, we began seeing crickets in an area of our basement that we never had before – the area where the hot water heater is. We had the exterminator out again the treat that specific area a little more heavily. We didn’t see any crickets at all for about 5 days. Now we are back to about 25-30 per day, and mainly in that area by the hot water heater. PLEASE HELP. We at stumped and so disheartened. Thanks. As explained in our article, camelback crickets will “come out” in the winter and make themselves more visible than ever. So even if you’ve had a treatment or two that has knocked out the majority of the problem, if you haven’t had every important void dusted, I’m certain they’ll continue being a menace. And based on the numbers you’re still reporting, I’d say it’s pretty clear that there are some more areas that need to be dusted. At this time I suggest you either have your service company do a more thorough job (dusting every wall void through holes made at the top, middle and bottom of the wall and make sure holes are made in between every stud) or you get the products needed from us and start tackling this issue yourself. No doubt a more complete dusting will solve the problem but it will take a lot of dust and a very thorough application of it so there is no possible space left for them to live. I also suggest getting the ceiling void dusted along with any hidden crawl spaces that may be present in the home. Crickets routinely climb structures. So since they’re very good at scaling the side of any structure, if you allow them to live outside around the home you’re inviting a problem like this to start. Now true, in most cases they’ll move onto the first level of the structure when they begin to invade. But having them start on the second or third floor is common and obviously whats happening in your case. Conquer can also be sprayed in your fireplace (and other living areas of the condo) or you could go with some Phantom aerosol instead. Phantom is odorless, comes with a small injecting tube making it ideal for treating cracks and crevices and it goes on “dry”. Phantom will easily cover hidden spaces like those found around a fireplace so its probably a better choice for this area anyway. Cricket traps should also be set out. Since its quite possible you have more than one cricket in the area, the traps can help reveal and control small problems. For this reason they can be as effective as the spray. Here are links to these items in our cart. Thank you! He is now in the dining room! :) Are these sprays harmful to family pets? Do these crickets lay eggs or birth live babies for reproductive purposes? They lay eggs. Typically these will be laid outside in the yard but if you have them nesting inside, like a crawl space or wall void in the basement, the eggs will be laid where they’re nesting. This article is very helpful and it gives a lot of information about camel back cricket. Thank you for all the replies “Tech” provides us. My concern is I live in a 2 bedroom apartment on the 2nd floor and I see these camel back crickets. Maybe 2-3 a day. This started in my bed room and living room where I found them dead when I was not home for couple of days. I think it looks like one ate the other as a leg was separated from one and the other was dead because my apartment was being treated for bed bugs. I do not have bed bugs anymore but I still see these crickets a lot. I see 2-3 crickets on the balcony dead or in the process of being dead. This is because I sprayed my sliding window in the living room with some kind of bug spray I bought from Safeway (I forgot the name). But my main concern is where is this coming from and where is their nest? I want to get rid of the root cause. I told my apartment about it and they told me they are seeing this problem more this year because of the increase in water level (I don’t know what that means). They will come this week to check if there is any cracks in my sliding door in balcony (which I think that’s where they are getting in from). I saw one crawling in the couch where my wife was sitting the other day. This creature is so nasty and freaky looking that I will do anything to get rid of it. Any suggestions and ideas will be helpful. Camelback crickets thrive where its wet and in all likelihood, they’re living somewhere on the ground and along the foundation of the building outside your unit. From there, they’re climbing up and into various apartments including yours. So if you want to stop this from happening, you’ll need to go after them where they’re nesting and to do this successfully, you’ll have to equip yourself with the best sprays available. And in our opinion, the best sprays to use are the ones we have featured in our article. So for now, I suggest you get some of the Conquer and spray it on the foundation and ground under your apartment. This will insure they’re not migrating from these areas into your unit. Use a good pump sprayer to do the application and expect to apply 1-2 gallons of mixed solution per treatment. Next, you’ll want to treat your balcony area with the same material as well the inside living areas around doors and windows. Next, you’ll want to apply Deltamethrin Dust in to any wall void they might be using to enter your apartment. This would include holes around pipes, under sinks, in electric outlets, around radiators, etc. Basically any hole that leads to a wall space should be dusted as these are all common ways for crickets (and other insects) to enter. So if you get these areas treated, you’ll be able to keep out all insects and in doing so, keep the apartment camelback cricket free. There is no basement, crawl space or any damp places that I can think of where they could breed. I babysit for this family 4 days a week and I end up having to kill at least one a day before she goes to bed! I’d like to know what to do. They freak me out when they jump around trying to smoosh them with a shoe. What should I do? Where is the problem coming from? As explained in our article above, camelback crickets exist naturally outside. Now since they love nesting and roosting on vertical surfaces (like the sides of buildings), it’s only natural that they are attracted to homes. Once around the home, they’ll commonly nest under decks, on retaining walls, in pine straw mulch, etc. And once they get established in these areas, it’s only a matter of time before some start making their way into the home if these areas are left untreated. So to answer your question as to where they’re coming from; they’re most likely coming in from outside. The good news is a thorough treatment of the outside should yield positive results quickly. That means if you get some of the Conquer listed above and apply 2-3 gallons of the mixed solution around the home by doing a thorough spraying, you should see a quick change in the problem. My guess is you’ll find some dead within a day or two of the treatment and if in fact they are coming from the outside, the problem could get resolved from these outside applications alone. Now if you’re still finding some inside the home 2-3 weeks following a thorough outside application, it means there are probably some nesting in a wall or two inside the home. The key here would then be to try and figure out which wall it might be. In most cases, it will be a wall closest to where you see the most activity. And once you isolate such a wall, you’ll need to dust it using the Deltamethrin Dust listed above. Here are direct links to the products listed above; give us a call if you have further questions or concerns. I have a problem with camel crickets living in an older mobile home. I am gone a lot traveling. But I find one in the bathroom in the tub most of the time when I return from a trip. When I got back this year, end of sept., I found and killed several large ones. Got some glue traps online and have not put them under table, etc. yet, because I have not seen any for a while? I have a parrot that I have loved and cared for 33 years so I cannot use anything that can be airborne and hurt her little lungs. And poison sprays are a no no, even put under the trailer, could drift through vents, cracks, etc. This is a 1977 mobile home. What can I buy to sprinkle under trailer and around edge of trailer that will not hurt my bird? Thanks, camel cricket warrior. Haha. If you review our article above, you’ll find a section talking about how to use a bait to control this pest. Known as Niban, this bait uses an active which can only impact certain insects like crickets, roaches and ants. So even if your bird or another pet was to eat some, it would have no impact due to the difference in digestive systems from animal to insect. Basically animals would process the bait as food and their digestive system would render the active useless so it couldn’t hurt them. But for insects, once they eat some they will die. For this reason, I believe the Niban would be a good choice for you since you have a pet bird and don’t want to risk any kind of exposure that might happen if you were to follow some of the more traditional treatment options. To use Niban, you merely need to sprinkle it out over as much of the underside of the trailer you can access. Pay the most attention to where the crickets are likely to be nesting. And if you can apply some of the Niban by dropping it down from above like through any visible crack, crevice or entry way through the floor of the trailer, this will help the treatment be extra effective. Of course tossing some Niban inside the perimeter of the curtain will help too but you may need to use our Dustin Mizer to get it under hard to reach areas where crickets may be hiding. I live in a small ranch home with an unfinished basement. I’ve been seeing these crickets on my walls for about two months now, perhaps 1 or 2 a week. I’ve been catching them and putting them outside. My basement is not finished and I have a ‘french drain’ which they love to fall into when I miss. What would be the best way to treat and I hope I’ve caught this early enough. I’m sorry but your message is not clear whether you’re seeing them on the walls of your basement or the walls upstairs in the living areas. So without knowing what you mean, I’ll answer for both. If you review the article above, you’ll learn about all the suggested treatment options. And as you’ll see, we recommend placing out Niban Bait in living spaces along with Glue Traps around the perimeter of any room where you see them. This will usually keep them under control in these spaces. Next, getting the main nesting areas sprayed or dusted will be needed for long term control. And in this case, I’m fairly certain the problem is stemming from the french drain and the outside perimeter of the home (specifically the foundation wall). Now since you didn’t mention crawl spaces, you’ll just need to spray using the Esfenvalerate listed above. Basically you’ll want to spray the foundation walls, both outside around the home and inside the basement. This will probably require using 2-4 gallons of mixed material. You’ll also want to spray down the french drain. Camelback crickets love dark shady areas and will readily move into such spaces when available. Follow this treatment routine and you should be able to kill any that might be nesting within 1 week and keep the home cricket free.